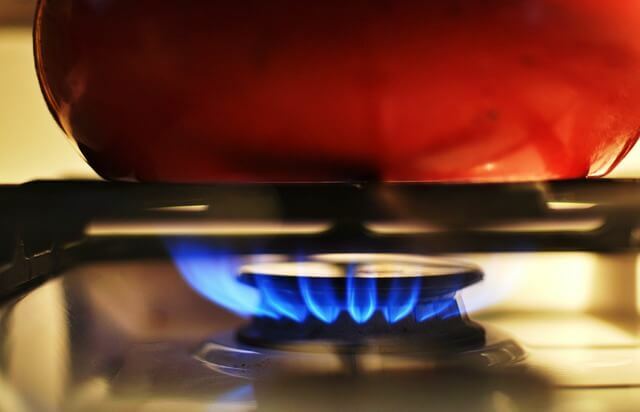 Whether you use gas for a small cooker or stove, or for a central heating system, you need the help of Do-All Appliance Service! Why? Because only certified professionals can do the inspection of the gas appliances in order to make sure you and your family are completely safe. Gas might be one of the best energy sources – it’s cheap and easy to use. However, the problem is that gas appliance repair are somewhat dangerous. Of course, people wouldn’t be using them if the danger was huge, but accidents do happen. Luckily, in most cases the accidents are not serious. They usually cause the appliance to stop working. But, sometimes, the gas might start leaking, which you can notice by gas smell. Gas leaking is like petrol spillage in your house it’s can catch fire very quickly. you need to stop the leak as soon as possible by turn off the gas supply and ventilate the area. Then call Do All Appliances to repair the leak or the appliance. When using gas appliances for cooking be sure that no flammable materials are near the flames. keep the burners clean. When you smell gas immediately turn the gas supply to the house/apartment and call service. When using gas appliances for heating you must keep the rooms ventilated from time to time to avoid Carbon Monoxide poisoning. You need to check gas heating appliances for Carbon Monoxide spillage from time to time especially if the appliance is old. The only solution for this is to inspect your devices on a regular basis, something with which Do-All Appliance Service can help you. Apart from inspecting your gas appliances to see whether they’re working properly, our team will also be able to make certain adjustments in order to make them more efficient. In fact, the efficiency is the number 1 reason why people decide to use appliances that work on natural gas. It’s much cheaper than using electricity, but only if the appliances are working properly. If not, you might be wasting the precious energy created from burning the natural gas. If that’s what’s going on in your case, Do-All Appliance Service is again your solution. Simply call us if you’re in a need of gas appliance repair! Did you know that you can setup the gas central heater to work automatically? We can do it for you, as that way you will be able to save quite a lot of money. When you’re not home, the appliance can be set to power-saving mode, while when you’re in; it will work at the peak of its power. Our team will also pay attention that thermostat and other gadgets are working properly, as sometimes they might be the culprit for higher gas bills. When it comes to the efficiency of your oven, we can improve it by doing additional insulation of the appliance. Actually, according to a research done by Energy Star, as much as twenty percent of heat gets wasted because of improper insulation. Our team can solve this issue quickly, while also making improvements to the air conditioning system and the ventilation. What Can You do to improve Gas Appliance Efficiency? Apart from calling Do-All Appliances repairs when you are in a need of gas appliance service, you can ask us to help you with a number of other issues. On top of that, you can even ask us to come by and give you advices on how to improve the energy efficiency of your house, as well as how to ensure the longevity of your appliances.